The term is commonly used to refer the reproductive behaviour of plants. Around 90% of the plant species are bisexual or called as `perfect' flowers; these hermaphrodites are both staminate (with stamens or male parts) and pistillate (with one or more carpels; female parts) on the same flower. Rest 10% of plants have evolved unisexuality as spatial separation of flowers. 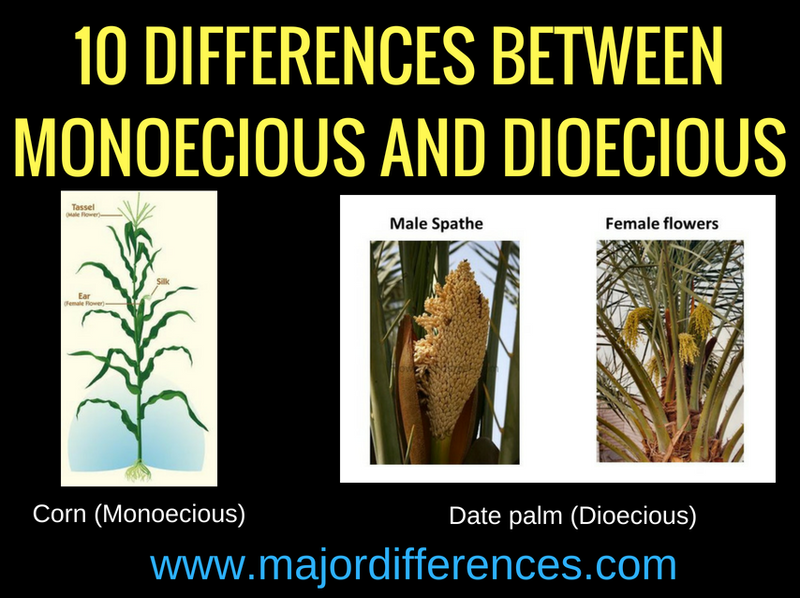 They can be Monoecious and Dioecious. Monoecious ("Mono" =one - and the term "monoecious" is literally "one house"), plants have male flowers and female flowers in separate structures on the same plant. In dioecious plants (“two house”), male and female flowers are present on separate plant. Ainsworth, C. (2000). Boys and girls come out to play: the molecular biology of dioecious plants. Annals of Botany, 86(2), 211-221. McKown, A. D., Klapste, J., Guy, R. D., Soolanayakanahally, R. Y., Mantia, J., Porth, I.,& Hamelin, R. C. (2017). Sexual homomorphism in dioecious trees: extensive tests fail to detect sexual dimorphism in Populus. Scientific reports, 7(1), 1831.